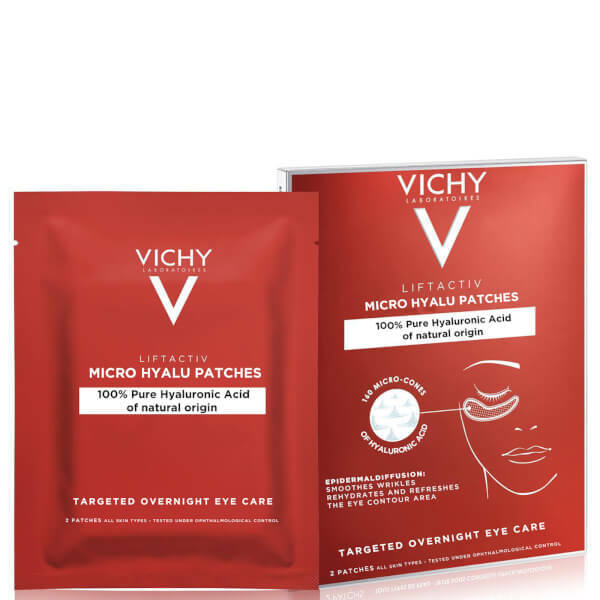 Rejuvenate tired eyes with Vichy LiftActiv Micro Hyalu-Filler Patches, a pair of refreshing eye patches infused with 100% pure Hyaluronic Acid of natural origin. 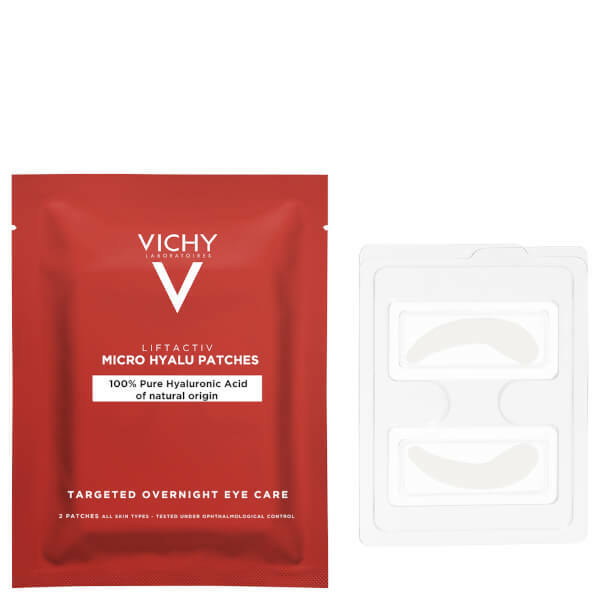 Utilising cutting edge microneedle technology, each eye patch contains 16 micro-cones of Hyaluronic Acid that gently dissolve and diffuse into the epidermis to deliver a skin-plumping, reviving and anti-ageing effect. 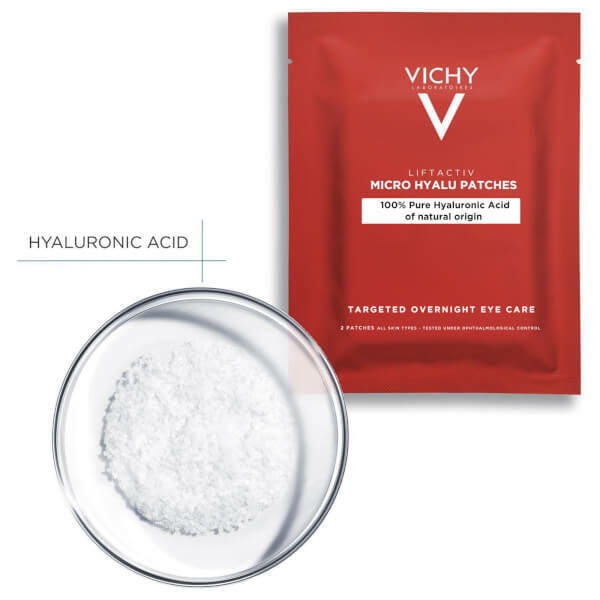 Delivering a targeted dose of Hyaluronic Acid, the overnight eye patches help to reduce the appearance of crow's feet and wrinkles while rehydrating and refreshing the delicate eye contour area. Eyes appear bright and well-rested come morning. Suitable for all skin types. 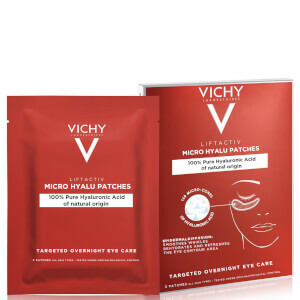 Tested under ophthalmological control. Apply along the contour of the eye - be careful not to touch the lower lash line. 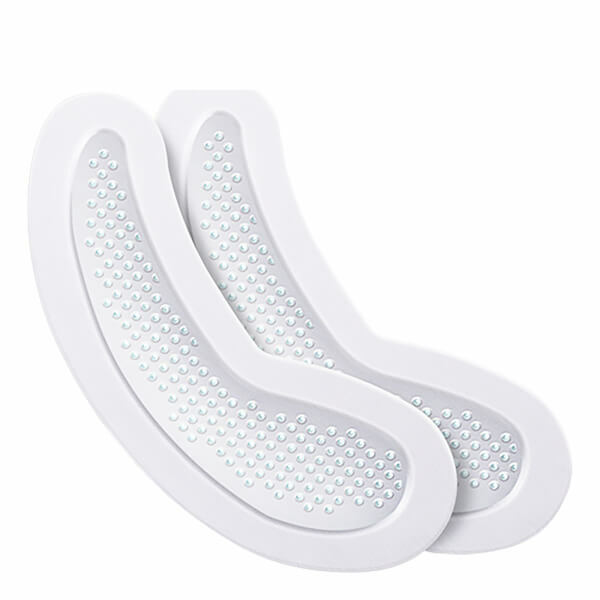 Apply light finger pressure to activate the cones to ensure the patch is well fixed. 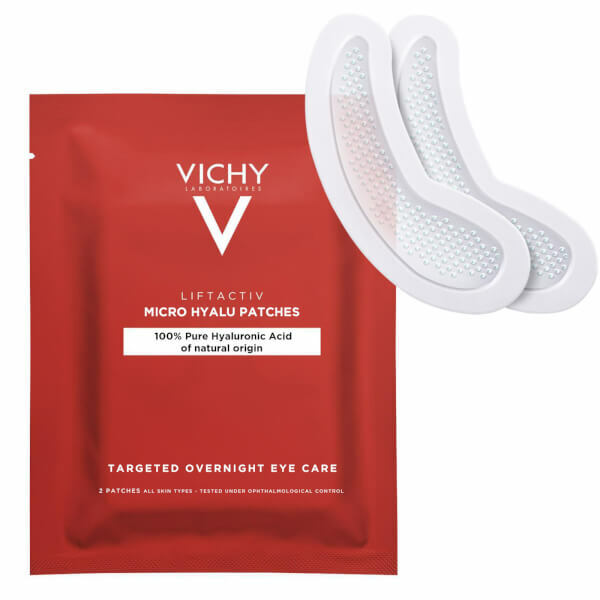 Leave on overnight or for 8 hours for optimal results.